The most advanced, highest performing and innovative solutions designed to fit your needs. All we think about is slicing and how to be the world’s best to address slicing, food safety and hygiene. Weber Guardian is a customized plan to support you over the lifetime of your slicer. From artisanal to industrial companies, a precise cutting result is the top priority when slicing: That is exactly what is achieved when using Weber's high-performance slicer. With up to 2,000 slices per minute and an optimal product yield and minimal giveaway. Weber slicers fulfil all requirements in the food processing space, serving artisanal, deli, snacking, cheese and meat slicing companies. The open construction and the Weber Hygienic Design makes cleaning and maintaining Weber slicers easy and efficient. Weber food robots solve complex problems and utilize a wide range of product handling methods: Gripping individual or multiple slices and precision positioning in packages or trays are just a few examples of possible applications. Weber food robots eliminate virtually all human contact with the products, improving food safety and reducing costs. Their flexible and open design also makes Weber food robots easy to clean. Weber skinners are used worldwide every day and are known for their reliability. They are also highly durable and used in continuous operation in multiple shifts of production. Weber skinners deliver clean results and meet the highest hygienic standards with their automatic cleaning system and their high-grade stainless steel product design. The robust design rarely requires servicing, which minimizes additional costs. Weber exceeds today's hygienic standards through the open design, reduced cavities, slimmer housings and a short cleaning process. The easy to care for stainless steel components guarantee high machine availability and greater efficiency. Weber customers rely on the innovation and advancements in slicing technology to adapt to their changing product portfolio, while maintaining a high profitability on their sliced product. Maximum yield with minimum giveaway – that is how we ensure maximum profitability. Weber Guardian is an on purpose and customized service and support plan for your plant. It is designed to guarantee the most effective operational and maintenance staff and optimized machine performance at your facility. 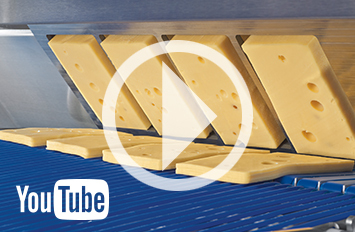 Weber has been bringing advancements in slicing solutions to the market for over 30 years. With our focus on next generation technology regarding slicing, as well as the material handling that is key to processing efficiency, Weber continues to invest and raise the bar on the global front. "Only companies that produce as much as possible themselves within their own supervision and responsibility can really guarantee quality." This is the vision of founder Guenther Weber. All stainless steel components, right down to hygienic screws are produced in-house. The Food Processing Suppliers Association (FPSA) recently held its annual meeting in March and the members elected the new FPSA Board of Directors and Executive Committee. As we continue to focus on key markets and our customers' needs, we are happy to announce more growth with the expansion of our sales team and the addition of Jay Witmer to our organization. Weber Maschinenbau (Breidenbach) and Textor (Wolfertschwenden) proudly presented a variety of innovative machines for the food processing industry at a joint booth at the Interpack in Düsseldorf, Germany from the 4th to the 10th of May, 2017. Weber Maschinenbau starts a collaboration with the worldwide market leader in curing technology and producer of packing machines. Weber & Textor at Interpack: Worldwide. By your side. Themed “Worldwide. By your side.”, we welcome you along with Textor, in one booth for the first time at Interpack in Düsseldorf. Currently there are no events available.